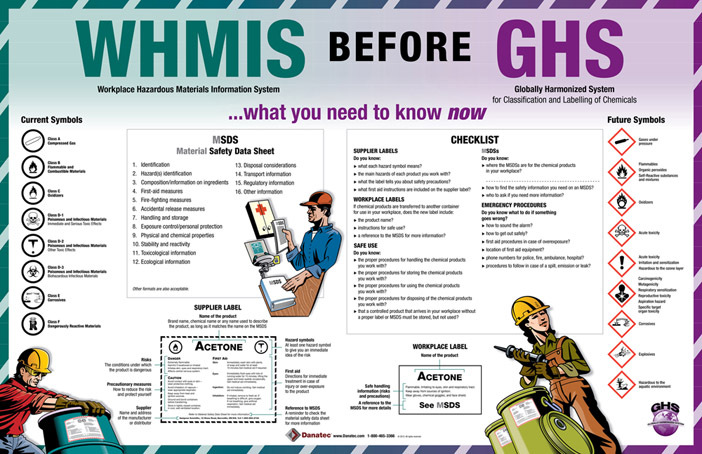 The new WHMIS 2015 poster grabs your attention with bold images and is now dry-erase compatible. 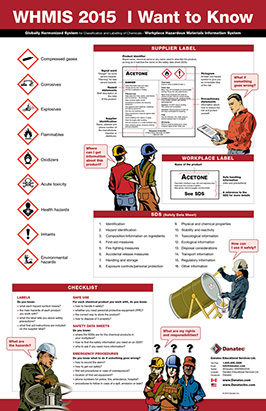 The poster displays the WHMIS 2015 pictograms, SDS information, and includes guidelines for making a workplace label. All our new WHMIS 2015 products contain WHMIS 1988 information.